Siân Dunning is the project manager for MD-TEC and responsible for the £7.3M facility within the Institute of Translational Medicine. Siân has extensive experience in the management of projects, having worked directly and indirectly with European Regional Development Funding for the past 10 years. Prior to this appointment Siân worked in higher education within Innovation and managed various Growth Programmes derived from both European and Innovation based funding. 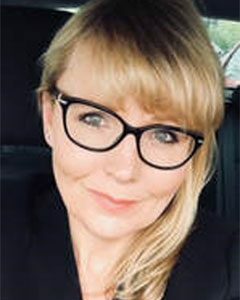 Siân has worked within management roles throughout her career and has extensive commercial experience in consultancy, sales and marketing for ceramics, medical technologies and healthcare. Siân’s specialisms are project planning and management, strategic marketing and growth, fund management, innovation and commercialisation. Siân has a BA Hons in English and European Literature and a Masters in Business Administration (MBA). She is a PRINCE2 qualified Practitioner, SFEDI accredited Business Advisor and also a member of Chartered Management Institute (CMI) and Association for Project Management (APM).